Bloomberry Resorts plans to start construction of a US$308 million cruise port in Parañaque City in the third quarter of the year, local media reported Chairman and CEO Enrique Razon as saying on the sidelines of the group’s annual shareholder meeting. The third ASEAN Gaming Summit, organized by Asia Gaming Brief, was held in Manila on March 19-21, and was judged the most successful of the series to date, with more than 420 attendees. Takashi Oya has replaced Kenji Sugiyama as both president of Asiabest Group International, the corporate entity used by Universal Entertainment to create a backdoor listing to the Philippine Stock Exchange, as well as the Okada Manila IR. 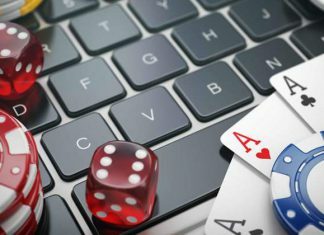 Philippines Senator Leila M. de Lima has filed a resolution seeking an inquiry into illegal workers at foreign gaming firms, particularly in the Philippine Offshore Gaming Operations (POGO) establishments. The Philippine Amusement and Gaming Corporation (PAGCOR) has again hit out at Quezon City’s acting mayor over her stance towards a planned integrated resort in the area, saying she should have played a more active role during the planning process. Rizal Commercial Banking Corp (RCBC) is fighting back against a civil suit filed by the Bangladesh central bank seeking damages for a 2016 cyber heist, issuing its own legal action for defamation. Bloomberry Resorts said its gaming unit has been cited in a US civil case attempting to recover funds stolen from Bangladesh’s central bank. Philippines casinos posted 187.5 billion pisos (about US$3.6 billion) in casino GGR in 2018, increasing 22.9 percent year-on-year, according to the latest data from the Philippines gaming regulator.